Ten-Year Veteran	 The original Audi Q7 wasn't to everyone's taste, but it had a clear distinctive theme. I liked it. Ten-Year Veteran	 Commanding seating position in a properly supportive seat. But some could find the step in too high. 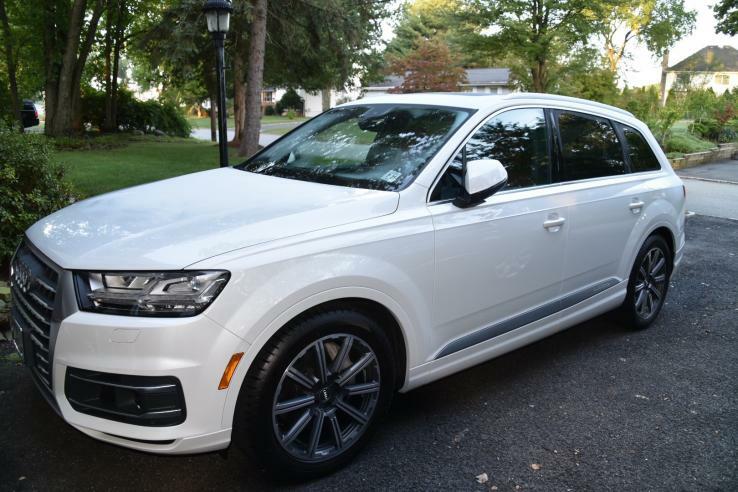 Ten-Year Veteran	 Nothing noteworthy, good or bad, concerning the Q7's second-row seat. Ten-Year Veteran	 More room in the third row than in the old Q7 or current X5. Still not much room. Ten-Year Veteran	 Four more cubes behind the third row, now about average for the class. A family's luggage won't fit. Ten-Year Veteran	 The third row power folds. I lack the patience for these, and would prefer manually folding seats. Ten-Year Veteran	 Any chance you'll need more cargo space than this when you have no passengers? Probably not. Ten-Year Veteran	 Sneak a peak under the not easily removable cover and you'll find the engine is attractively styled. Ten-Year Veteran	 One of the two instrument modes shrinks the tach and speedo, so Google Earth can fill the space. Ten-Year Veteran	 MMI controls with a larger touchpad now ahead of the shifter. They work well post-learning curve. Ten-Year Veteran	 Yes, a large vent really does span nearly the entire instrument panel. For draft-free HVAC. Ten-Year Veteran	 In the past two decades Audi has designed some beautiful cars. This isn't one of them. Ten-Year Veteran	 The latest XC90 manages to be at once very Volvo, clearly an SUV, and attractive. Ten-Year Veteran	 Are the flared wheel arches doing it any favors? 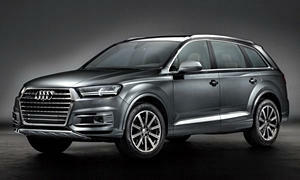 Ten-Year Veteran	 One car magazine EIC has referred to the new Audi Q7 as "the German Dodge Journey." 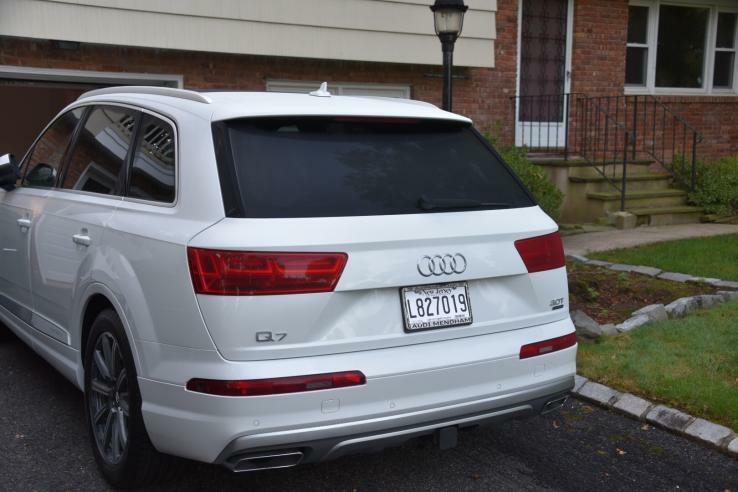 Ten-Year Veteran	 The new Q7 looks best from the rear quarter. Ten-Year Veteran	 But this is how the Volvo looks from the rear quarter, even with squarer lines. Ten-Year Veteran	 High and wide console, low instrument panel, brimming with tech. Very Audi. Ten-Year Veteran	 The latest Audi singleframe grille: even larger, more angular, and with a wide chrome frame.